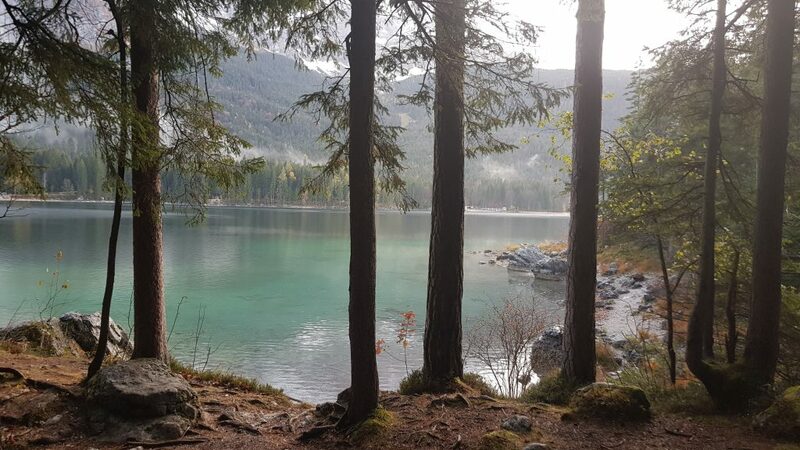 Eibsee, a lake in Bavaria, Germany - the #1 lake in Bayern! 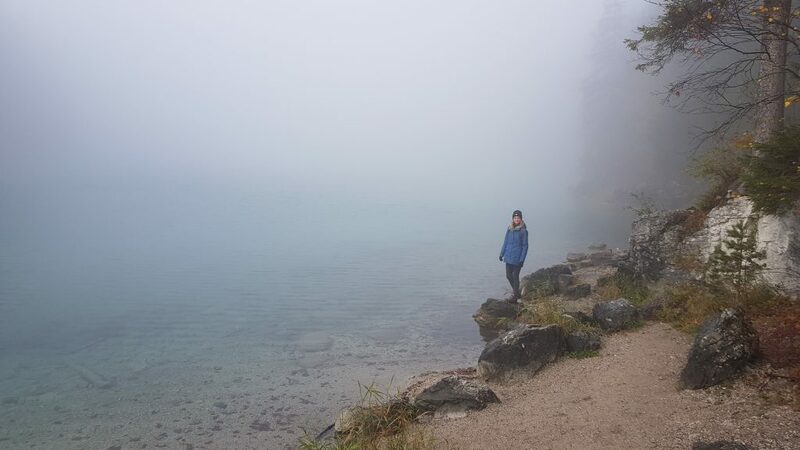 Home » Eibsee, a lake in Bavaria, Germany – the #1 lake in Bayern! 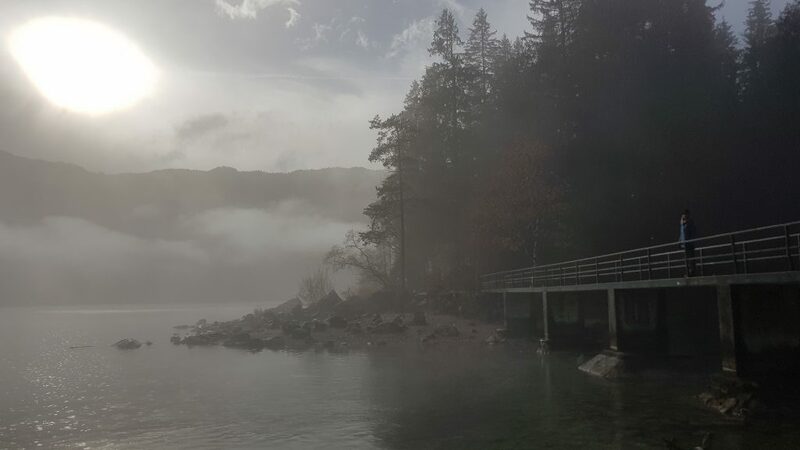 Yes, we have to confess something – we love lakes! 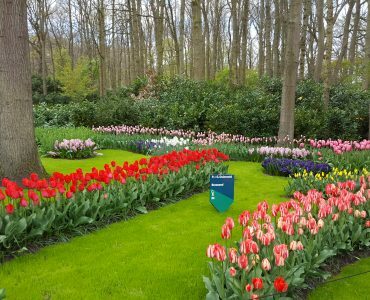 In all shapes and colours 🙂 Where are the best lakes in Germany? In Bavaria of course! 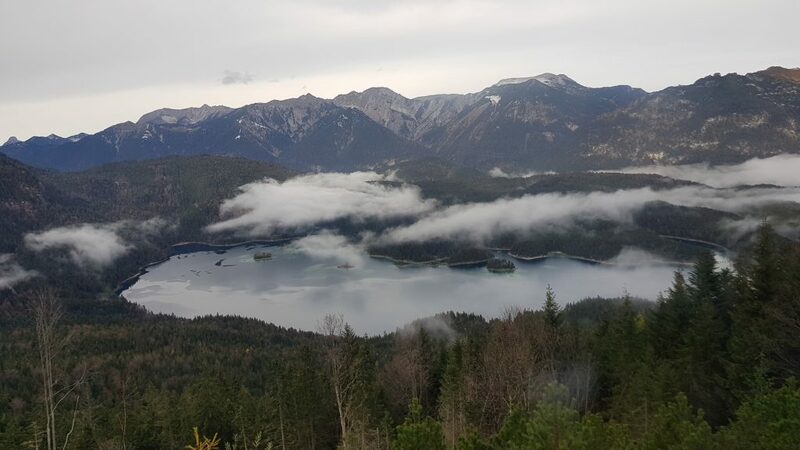 And the Bavarian Eibsee lake is one of the most beautiful lakes we have ever seen. 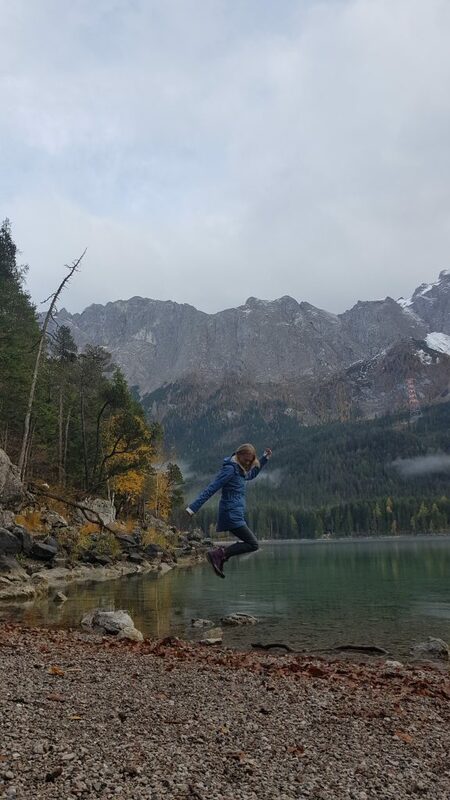 As you can imagine, the Eibsee lake was also on our bucket list – we were very glad to tick that point on our list. 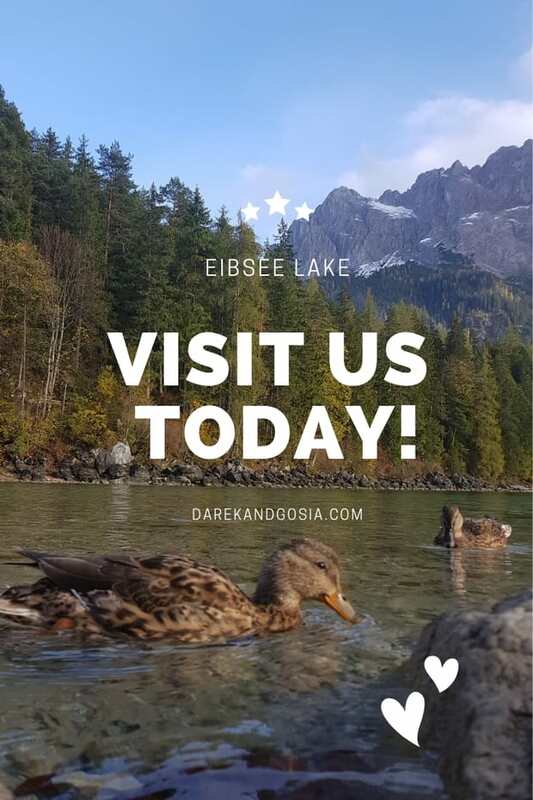 Eibsee Lake in Bavaria – where is it located? 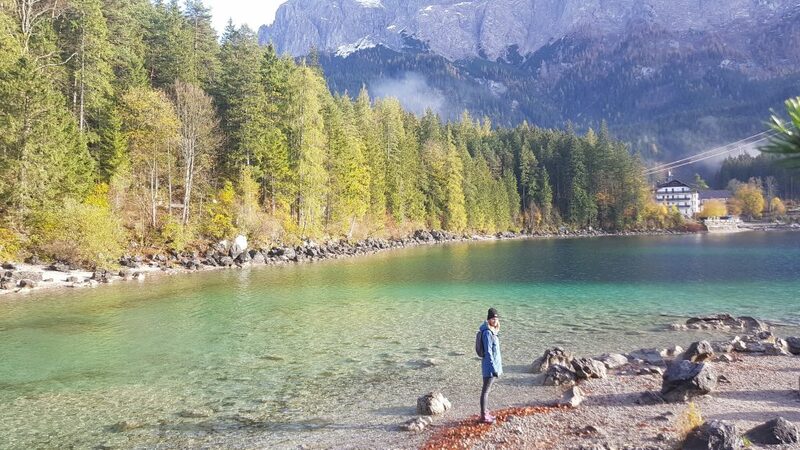 The lake is located just under 100 km from Munich, which makes it a perfect day trip from the capital of Bavaria. 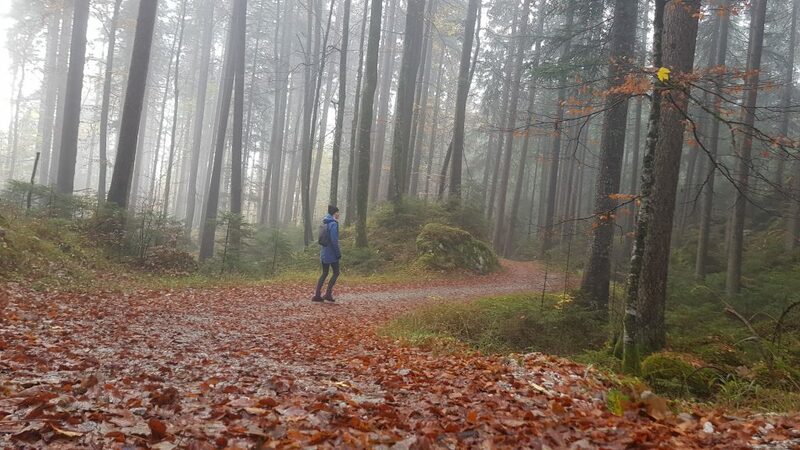 But we really recommend spending at least 2-3 days in this part of Bavaria. 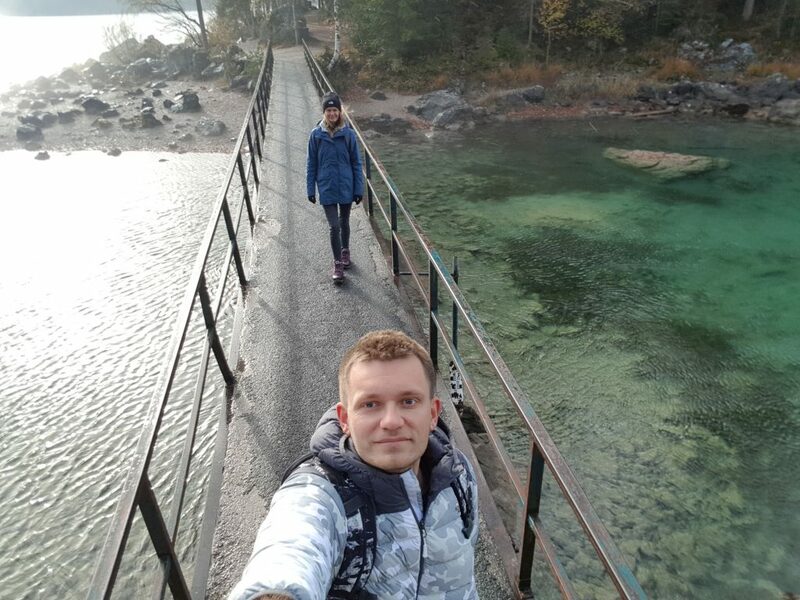 That will give you enough time to explore other amazing places around Garmisch-Partenkirchen. 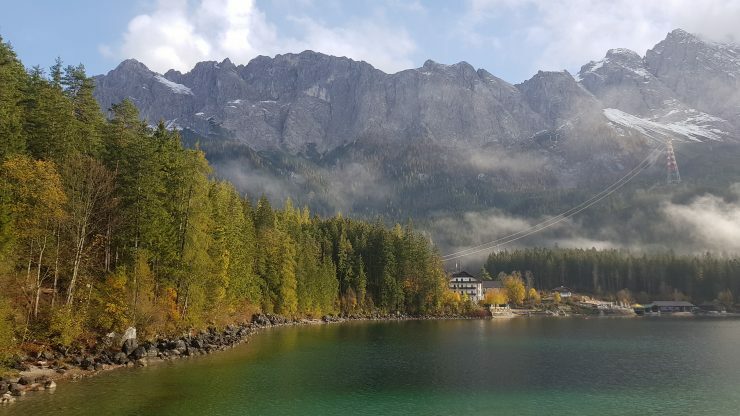 If you only have one day, take the train from Munich to Ga-Pa and then a bus to Eibsee station. You should be able to get there in about 2 hours. 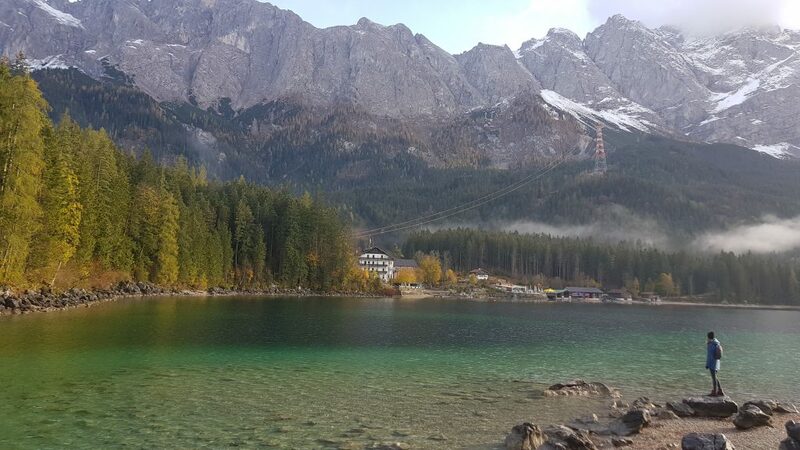 Alternatively, rent a cheap car in Munich and drive yourself to Eibsee. 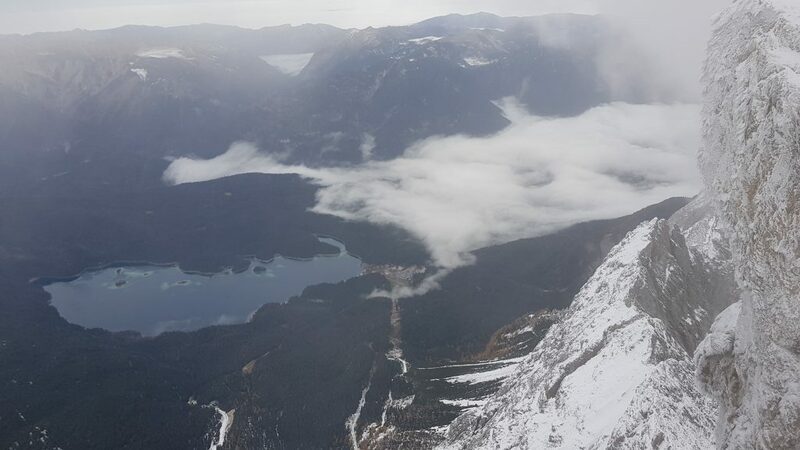 Before going for a hike around the amazing Eibsee Lake, make sure to visit Zugspitze. Why? – would you ask? 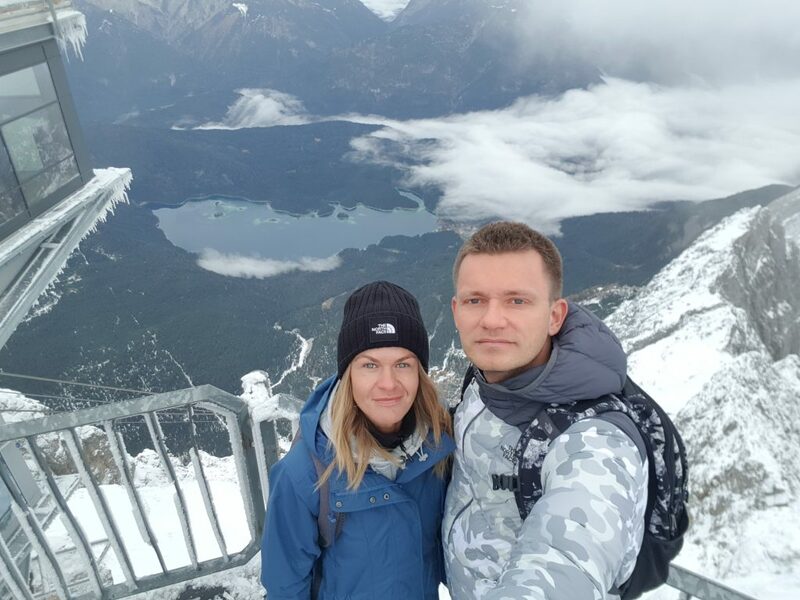 Well, the views from above are just stunning – you can see the wonderful lake from a completely different perspective. 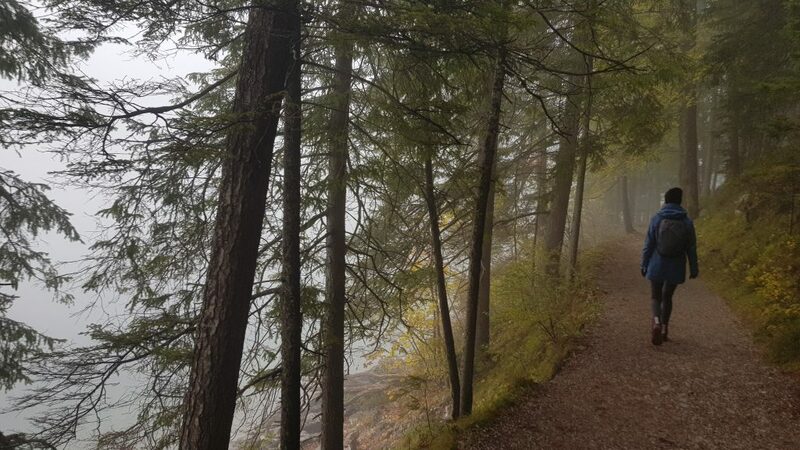 It’s time to hike around the lake! 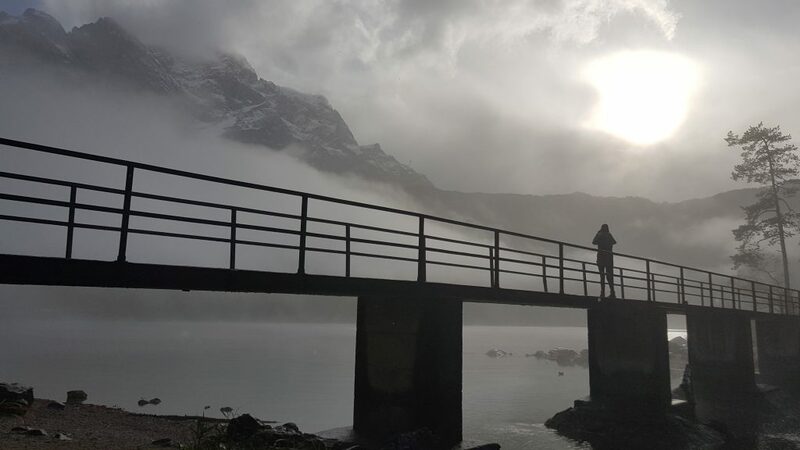 Don’t worry – if you don’t have a few hours to complete the whole loop, just hike 30 minutes and you will still be able to take many amazing pictures. 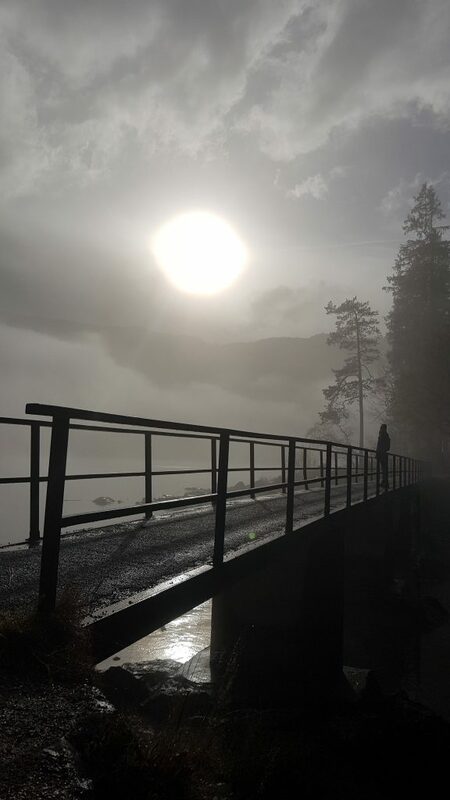 But there is something magical about fog! The views are always marvellous so you can take many awesome photos. 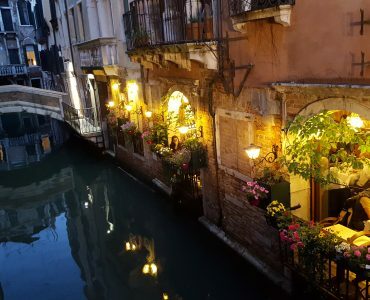 Is this not one of the most romantic places in Europe? 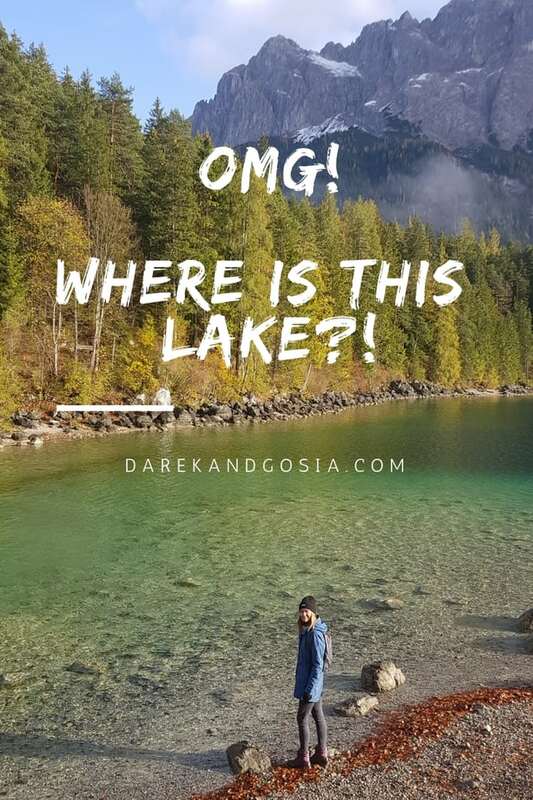 Eibsee Lake in Bavaria – worth to visit? 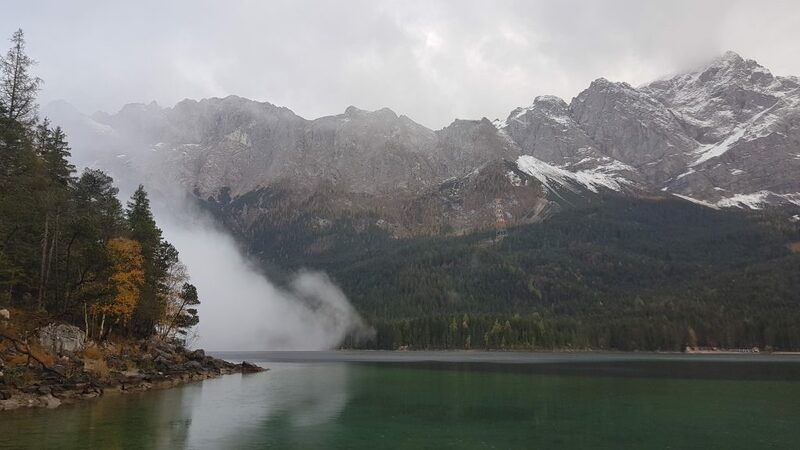 Eibsee Lake in Bayern, Germany is one of the most beautiful lakes in Europe. 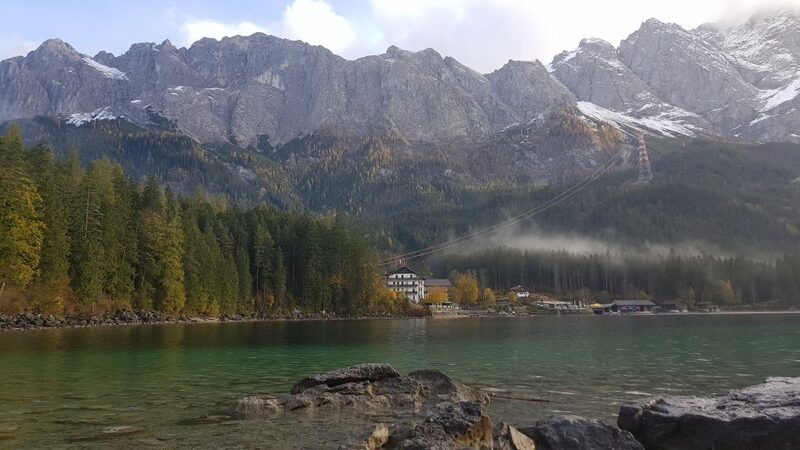 The scenic views of Zugspitze are just remarkable! 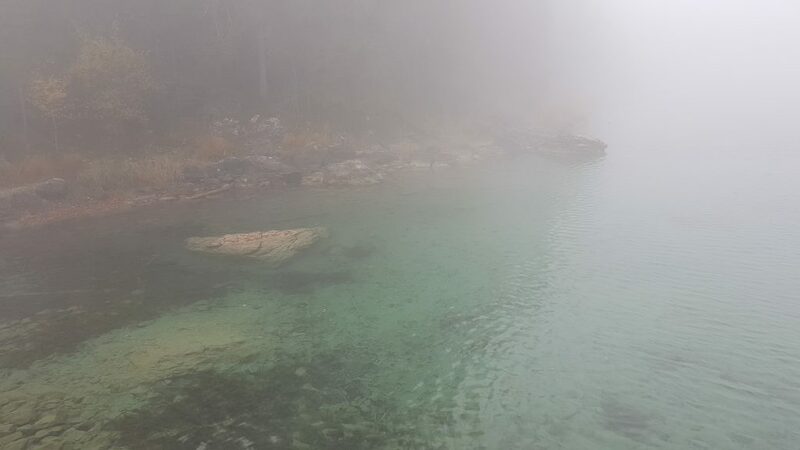 Absolutely unique experience: the crystal-clear Eibsee lake at the base of the Zugspitze is worth paying a visit! 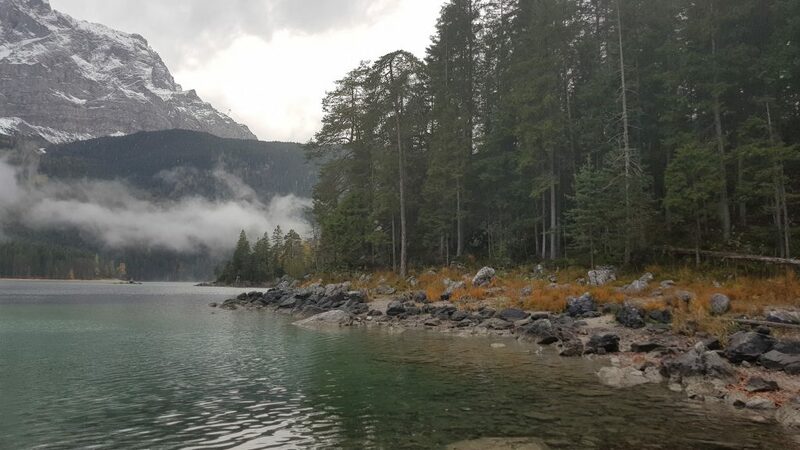 Eibsee, a lake in Bavaria Germany, is a must-see when visiting the Bayern region in Southern Germany. 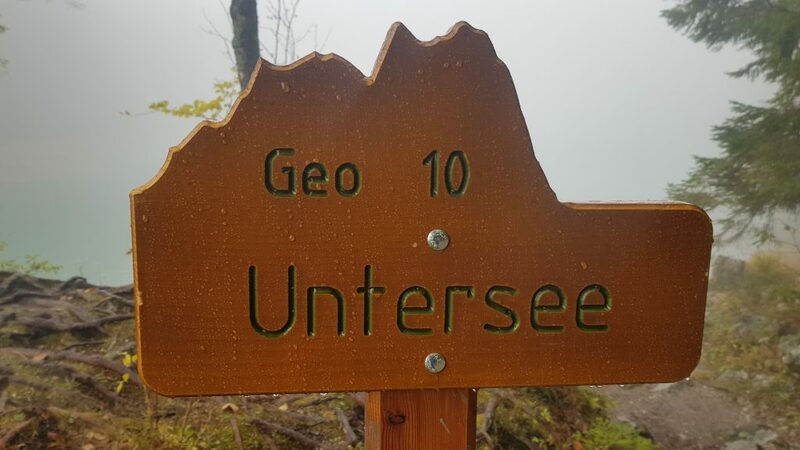 Make sure you add it to your list while spending a holiday in Garmisch-Partenkirchen.